Another 9/11 commemoration is fast-approaching this coming week, as the anniversary falls on a Tuesday this year. As we know 9/11/2001 occurred on a Tuesday. And this upcoming seventeenth anniversary seems surreal in terms of how many years have since passed. 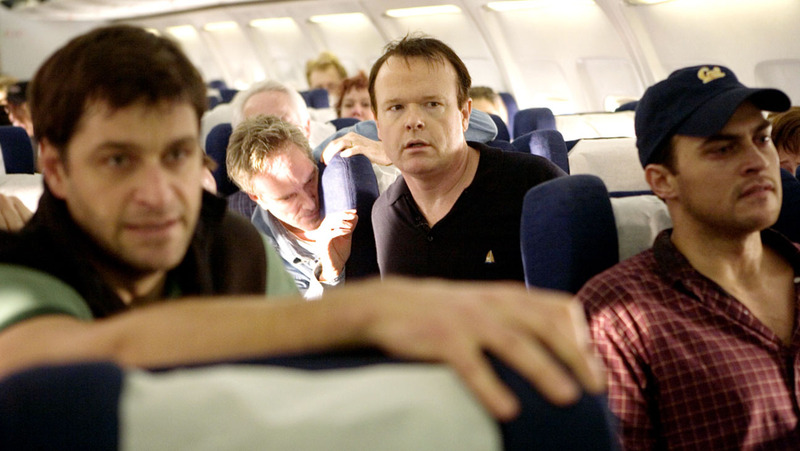 One film which did not receive nearly enough acclaim for its poignant, minimalist, and overall very effective style is United 93 (2006), currently available with the Amazon Prime service. The film resisted all of the temptations of a Hollywood blockbuster remake of the doomed United flight which saw the passengers and crew members put up a valiant fight against the hijackers, as they were in a position to know that other flights were being used as missiles to commit suicide missions. There are no big stars, and overwriting is not an issue. There are no comic book adaptations to fall back on as a crutch--All there is here is intense acting and a production which honorably pays homage to the events of that day for those associated with United Flight 93, the scheduled morning flight from Newark International Airport in New Jersey to San Francisco International Airport in California, which was taken down amid the struggle, killing all onboard in a field in Somerset County, Pennsylvania.